ABTA LifeLine is ABTA’s charity. ABTA is the UK’s largest travel association representing travel agents and tour operators that sell £37 billion of holidays and other travel arrangements each year. Previously called the ABTA Benevolent Fund, it was set up in 1988 to help people in the travel industry when they need it the most. If you work or have ever worked for an ABTA Member, ABTA itself or other organisations within the travel industry who are engaged in the sale of ABTA products, you can apply to ABTA LifeLine for help. You never know what life is going to throw at you or what might be around the corner. But whatever happens, we want travel colleagues to know we are there for them when they need it the most. We can provide a range of support to people who might need help with day-to-day living costs, utility bills, rent or mortgage arrears, and essential household items. We can also help with essential house repairs. Sometimes things happen that we aren’t expecting. Whether it’s a sudden death in the family, a relationship breakdown or even a redundancy, it can leave us anxious and worried about how we are going to cope. We can help with basic funeral costs, help to set up a home again, or help with training to support those getting back into work. Occasionally things happen to us that are life changing. An accident, a health condition, a disability, a sick child. We can help with purchasing disability aids, respite breaks, special equipment and even transport costs to get patients to a hospital appointment. We aim to provide the support that you need – every case is unique and we aim to tailor our support as required. We are dedicated to helping and supporting our travel colleagues. Zach has an inoperable benign brain tumour and multiple genetic disorders, which have caused him to lose all of his skills and language. 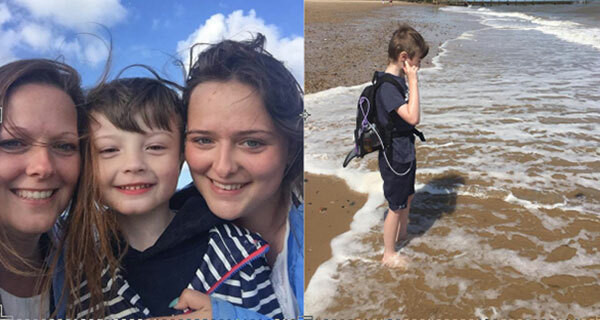 ABTA LifeLine built Zach a sensory room and sent him and his family on a respite break to Norfolk. This has helped improve Zach’s development and quality of life, and given his family the chance to make once-in-a-lifetime memories. During many times in our lives, we’re simply unable to cope with whatever life has thrown at us. That stress and anxiety can be debilitating. Our hope is that we can alleviate that stress and anxiety by providing people with practical things to change their situation. There are so many things that can change the balance in our lives, some big and some small – we are committed to helping our colleagues in need in the best way we can. Photos: ABTA LifeLine copyright and used with permission. Previous Has your council cut its LWA scheme?